More Canadian TVs are ready for Internet movie content, according to our latest edition of Digital Life Canada quarterly. 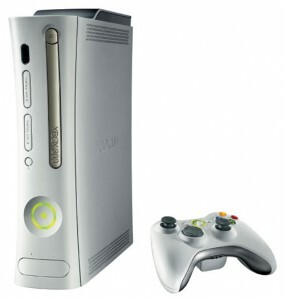 Game consoles like XBox 360, PS3 and Wii are in nearly half of Canadian Internet households and of these, over half are Internet enabled and connected to the living room TV for gaming and movies. And 23% connect a laptop or another computer to their main TVs (8% always, 15% sometimes) when they need to watch something on the big screen. Combined, this means that over one-third (35%) of the main TVs in Canadian households are connected to the Internet at least some of the time, either via game consoles or laptops, and 47% of online Canadians say that would now prefer to rent movies online than going to the video store (up from 33% saying the same thing only one year ago). Among online Canadians under 35, a majority (51%) now say they have connected a laptop or an Internet-enabled game console to their TVs. This is good news for Netflix and movie studios looking for additional online opportunities to monetize their content. According to the study, 80% of Canadians are aware of Netflix and 8% of these used the free trial at some point; Netflix is expecting to cross the 1 million paying subscriber threshold by this summer. The recently-launched Cineplex movie downloading service was familiar to just 17% of online Canadians and fewer than one-in-ten of those used the service. When asked what content they watched when they connect their laptops to a TV, 41% said movies, 25% said TV shows. Average age of a laptop/TV viewer was 33; with 70% in the 18-49 age group. Technical: These findings come from SRG’s independent Digital Life Canada syndicated study, based on quarterly interviews with 1,000 respondents 12 and older. The latest round of interviews were conducted in early January 2011.